This is a WooCommerce extension that allows store owners to reward their customers for the time they spend shopping in the store. I.e. the time they spend viewing the products. A predefined number of points is given to a certain customer after visiting a product page. Store owner can control when to count a visit by creating a set of rules (for example, if and only if the customer spends no less than 5 seconds viewing the product and scrolls down the page by at least 500 pixels). Lastly, customers can redeem the collected points for a discount from the available rewards that are set by the store owner. Fully customizable – feature-rich settings page to control everything. Guarantee real views – set of rules that determine when to consider a product view. Style options – select the colors and layouts that fit your style. 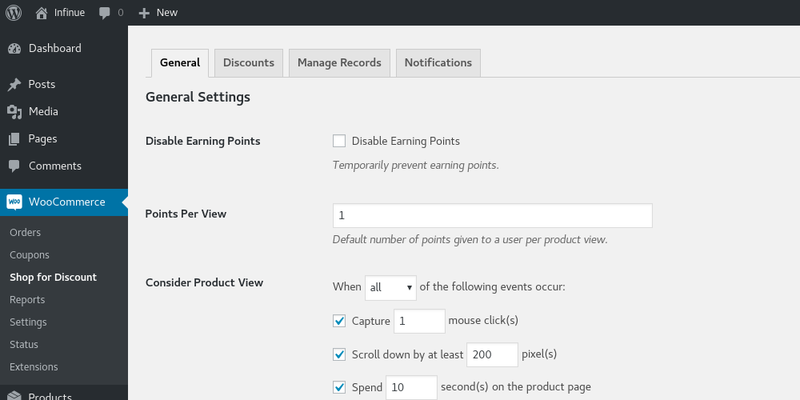 Product-level options – disable collecting points and overwrite the default number of points per product view. 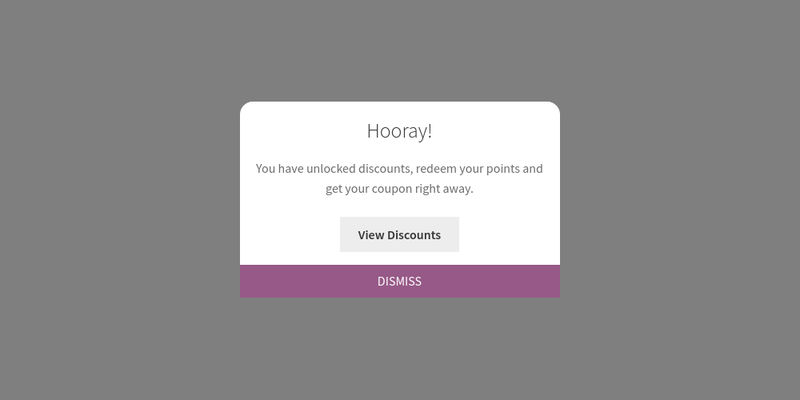 Compatible with all coupon plugins – create standard WooCommerce coupons and unique copies of them will be generated for each user upon redeeming their points. Pop-up notifications – customizable pop-up notifications for logged-in/out users and when a new discount is unlocked. 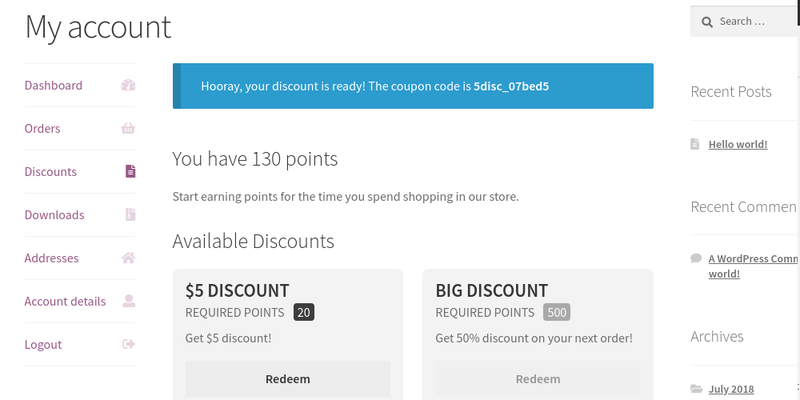 Email notifications – generated coupons are emailed to the users once they redeem their points. Statistics – track and take actions on the views and points of your users. Increase user registration – only logged-in users can collect points.